Ford is growing its UK registration lead ahead of the important March registration change sales month. Official sales figures from the Society of Motor Manufacturers and Traders (SMMT) show that Ford widened its 2010 sales advantage in February. The Blue Oval brand increased its UK market lead to 8,084 cars for the year to date after selling 9,915 cars in February. Ford Fiesta continues to hold a strong number one UK sales position, ahead of the second placed Ford Focus for the year, which is 1,800 sales ahead of its nearest rival. February's car and commercial vehicle sales volumes were both up compared with the same month last year for Ford, resulting in a 15.7 per cent vehicle market share for the year to date according to the SMMT. Its figures also show greater demand for Ford's Mondeo, S-MAX and Galaxy large cars last month compared with February 2009, reflecting the bias in the UK market towards business sales prior to private custom dominating in March. 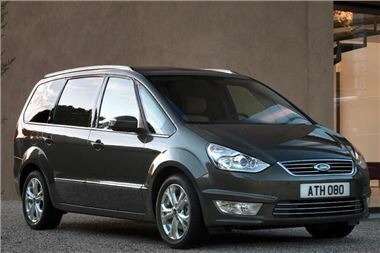 Ford buyers took delivery of 2,110 Mondeo, S-MAX and Galaxy models, compared with 1,370 in the same month in 2009. Nigel Sharp, Ford Britain managing director, said: "February is traditionally a curtain raiser to the plate change month of March, when Ford customers will benefit from the company's best-ever vehicle range and its Spring marketing campaign, which establishes lower price points for its most popular models. Ford's ongoing freshening of its range will be unrelenting in 2010 with the new Ford S-MAX and Ford Galaxy range appearing in April, the new Ford C-MAX and Ford Grand C-MAX later in the year as well as a number of new engine and transmission introductions."